There are few pieces of crockery that bring about as much sentimentalism as tea sets do. When you think of china being passed down over generations in a family, it is usually a tea set. One with flowery patterns that is beautiful in a quaint, old-fashioned way. Or maybe one that has a scene from a garden, or of a horse drawn carriage. My own family has tea sets that are treasured and passed down over the years. There are the ones that are embellished with English roses that are taken out only on the most special occasions, the gold trimmed ones that have seen the light of day only twice since I was born, and then there’s the delicate, translucent Shelley that my aunt inherited that had its moment in the limelight one summer’s day many years ago. My aunt who lived in Mangalore, Karnataka was expecting a visit from Kushwant Singh, the writer, who was passing through the city. Rather nervous about the meeting, she pulled out her best china, which happened to include a Shelley tea set, and laid out a spread for tea. Mr. Singh arrived, and a very awkward 30 minutes were spent in polite conversation, until tea was brought to the table. When he saw the tea set, his eyes lit up and he exclaimed, ‘What a beautiful Shelley teaisset!’ After the incident, the ice was broken, and what ensued was a pleasant afternoon that my aunt talks about to this day. While it is true that tea brings people together, it is also true that teacups hold more than just this beloved beverage. Instead, they also hold stories and memories – they serve as family heirlooms that are as important as pieces of jewellery or art. 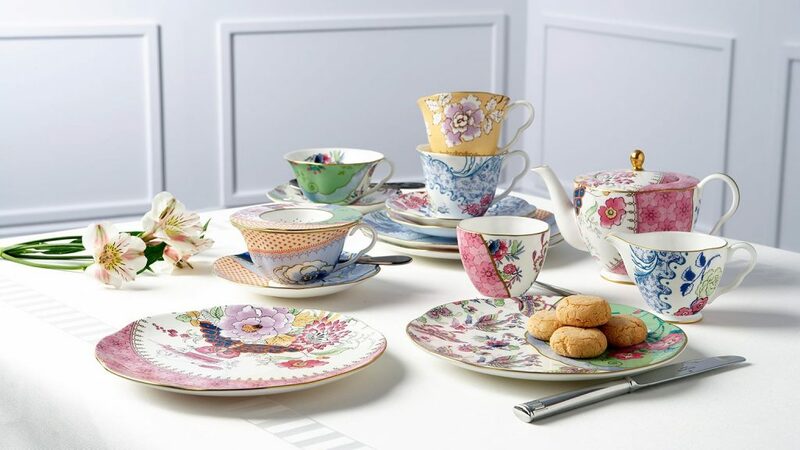 Beautiful china makes people feel welcome and special, and have an undefinable quality about them that makes them perfect for passing on to the next generation – a sort of durable legacy, if you will. Tea sets are said to have originated in China, the birthplace of tea, in the Hun dynasty. Although initially, tea was boiled in a kettle, and served in tea bowls made of ceramic, the 8th century, tea sets – tools for the elaborate tea ceremony—were said to include about 25 pieces. The most iconic piece of the tea set, the tea pot, however, came only by the 1500s, when tea started being steeped, originating in the Yi-Xing province of China. Because tea in China and Japan were made to be consumed lukewarm, these ceramic bowls that were no taller than 3 inches high were a good choice. 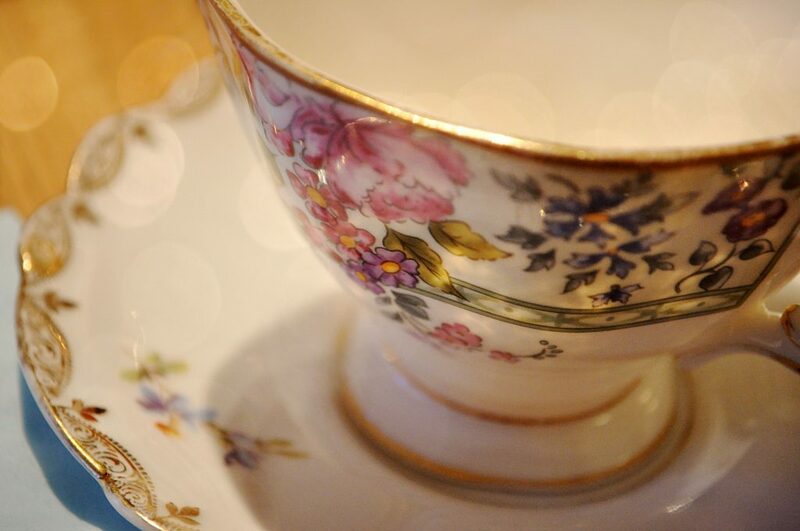 As tea travelled across the globe, and became popular in the 1600s, the tea culture in these countries, especially England, greatly affected the way that teacups and tea sets in general were made. Unlike the Chinese and Japanese, tea was consumed piping hot in Europe. This meant that handling the bowl, which would transmit a lot of heat through the delicate porcelain or stoneware, became an issue. To make sipping the hot beverage even easier, the bowls were given handles – thus becoming the early prototype for what we recognize as a teacup. Saucers were also added, so that it could be poured onto this flat surface to cool the tea before sipping. The biggest change to teasets came about when Josiah Wedgwood invented ‘Jasper’, a stoneware that is unglazed and with a ‘biscuit’ finish, with a signature shade of grey-blue. For the first time, these teacups started to have motifs that were ‘classical’, rather than ‘oriental’. The style caught on so much so that Queen Charlotte, endorsed the brand by commissioning a set for the royal household. Soon, manufacturers across the country started producing tea sets, especially as The East India Company stopped importing porcelain from china. Bone china was invented soon after, and since then, there has been no looking back. 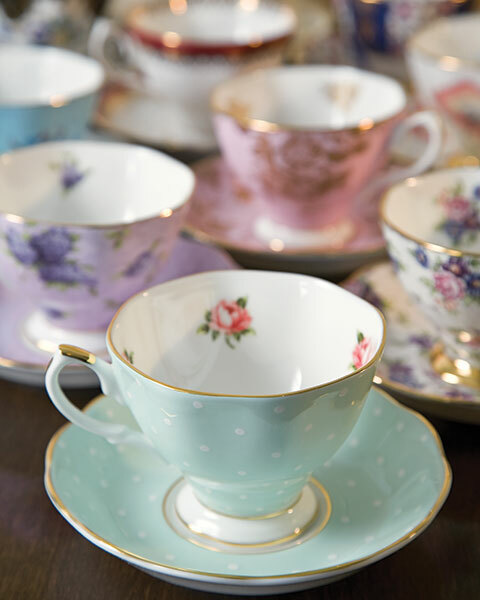 The modern tea set as we know it emerged as drinking patterns across England changed. From drinking black tea, adding milk and sugar became popular. This brought about the invention of the milk pot and sugar pot. Today, a tea set is also incomplete without an elegant strainer and a tray to carry it all. Although less formal, mugs also make a nice addition to a tea set, especially delicate floral ones. 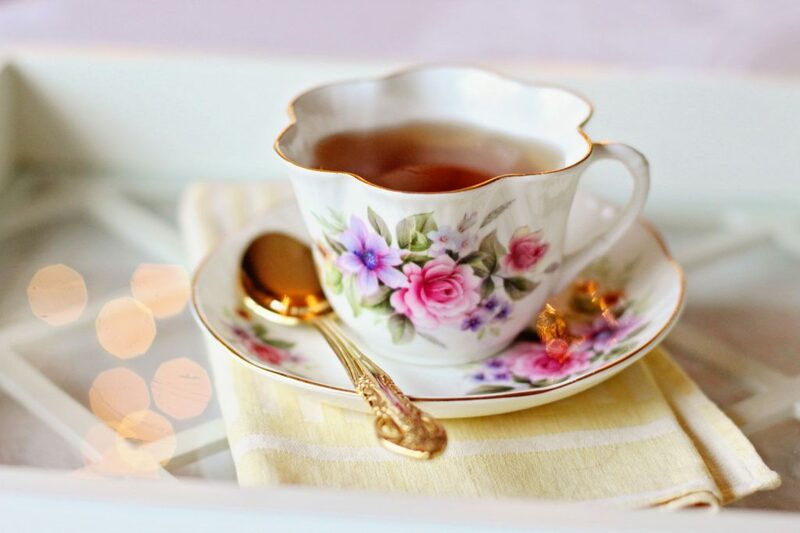 Here are some of the classic manufacturers of some of the most iconic tea sets that have set the standards for elegant, sophisticated, collectable tea sets that can be recognised anywhere in the world. Wedgwood was founded in 1759 by Josiah Wedgswood, who was both a potter and an entrepreneur. Arguably the most important ceramic factories in the world, Wedgwood has made some of the most classic, iconic designs to be found in fine china. This luxury brand now creates collections in collaboration with some of the biggest names in the design world, such as Vera Wang. Located in Staffordshire, there is now a Wedgwood museum that showcases 250 years of crockery that has been an integral part of England’s heritage. Royal Doulton was established in 1815 in London by John Doulton, John Watts and Martha Jones. Specialising in tea sets with the quintessential English floral designs, the company started out by making stoneware, in the form of ornamental bottles and sewer pipes. 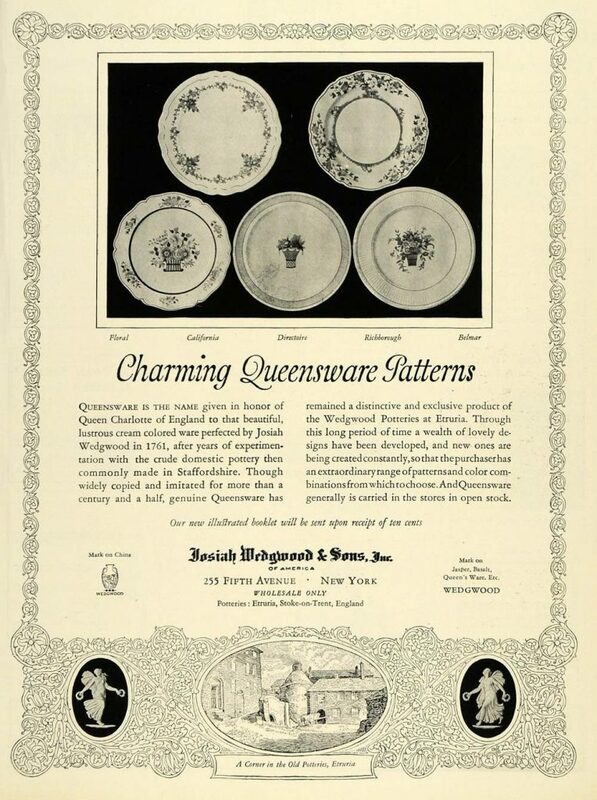 However, in the first half of the 1900s, they made a name for themselves making bone china. They are now a household name, and very much a part of pop-culture — the movie Mary Poppins Returns features a talking Royal Doulton bowl. Shelley was originally known as Wileman & Co. and has been around since the late 1800s. In 1910, Percy Shelley changed the name of the company to Shelley, and there has been no looking back since. One of their most popular sets, Queen Anne, came out in 1926 and although only produced for 7 years, has remained one of their best sellers. 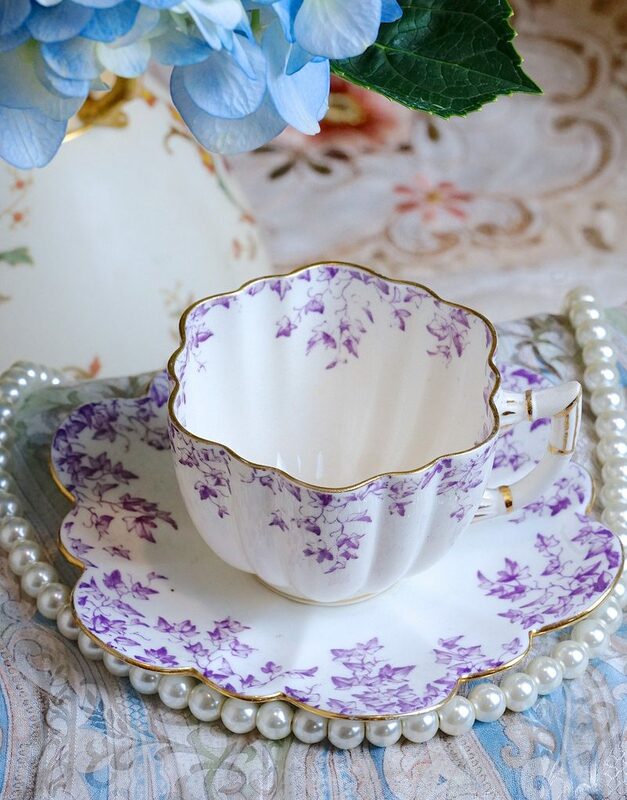 Shelley is one of the most beloved brands among collectors and is prized for its delicate, translucent bone china. Although they produce several patterns, over the years, they have come to be associated with Art Deco patterns. Although these are some of the more iconic names, beautiful tea sets are to be found everywhere. If you’d like to start your own tea set collection, all you have to do is visit antique stores, or second hand stores, which are sure to have beautiful unique options. But of course, before you do this, it is worth peeking into your family’s collection first – the perfect one might be hiding right under your nose!